Reclaimed hardwood flooring is unique and beautiful to say the least. Wood harvested from years ago in the form of old barns, rural structures or commercial buildings can produce some truly one of a kind type of material. Here at Invision, Hardwood and Décor Inc. we are offering a reclaimed, engineered Heart Pine in three different colours. Our authentic reclaimed floors are crafted out of century old beams and decking that have been salvaged from historic buildings across rural America. Authentic features include nail holes, wood plugs and patches, hand chiseled bevels and pronounced grain pattern. This collection is also made unique by the fact the plank sized are 8” wide and up to 10 feet long. 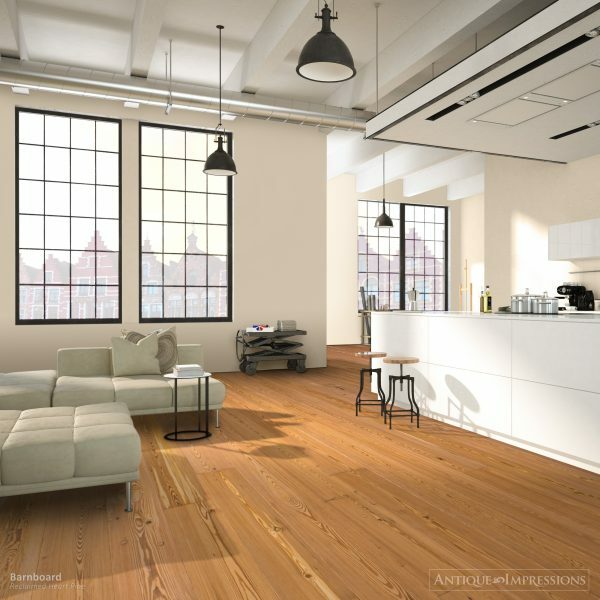 Our professional staff at Invision, Hardwood & Décor Inc. will spend the time to show and educate you on all these important and subtle differences when it comes to reclaimed hardwood flooring – not every style is a fit – your personal taste along with your lifestyle will influence the direction we guide you in. No matter where you are in Toronto, Vaughan or anywhere else in the GTA we will be there to provide the best service and expertise.